Smartphone owners have been using biometric authentication for years now, but recently, it’s dramatically. That’s mostly thanks to fingerprint-scannning technology, which has become pretty much ubiquitous on smartphones. There’s only one problem: The scanners tend to take up a lot of space. Luckily, the solution might be around the corner. On Tuesday, Synaptics announced that it’ll begin mass production of its Clear ID in-display fingerprint sensors with a “top 5” OEM. Synaptics announced Clear ID (FS9500) back in December of 2016, and it’s positioning it as an optical solution for wet, dry and cold fingers. 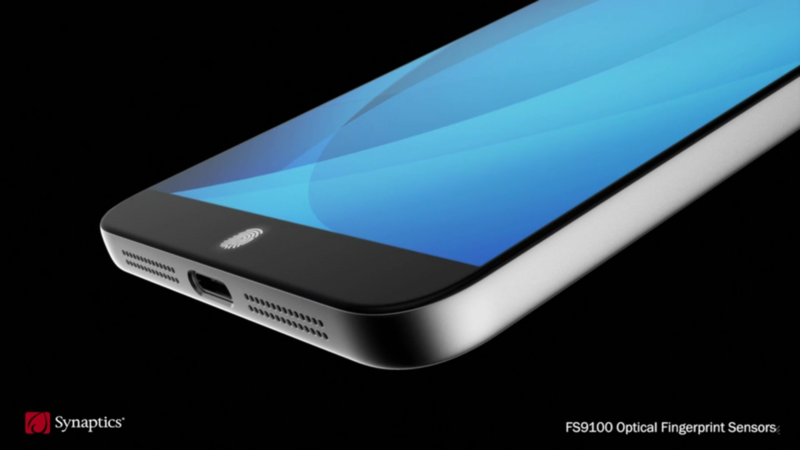 But Synaptics isn’t the only one with an in-screen fingerprint scanner. Back MWC 2017, Qualcomm took the wrap off its platform, which uses ultrasonic scanning to detect and authenticate fingerprints. The chipmaker teamed up with Vivo to demonstrate it, and while it has its drawbacks — it’s slower than traditional capacitive scanners, for one — it’s highly accurate. Samsung’s reportedly developing an under-display fingerprint sensor, too, a rumor that gained credence when Samsung ditched front-facing hardware buttons on its recent Galaxy flagships in order to shrink phones’ bottom bezels. But it’s so far struggled to overcome logistics, security, and yield issues; as of publication time, the latest rumblings suggest it’ll stick with a rear-mounted fingerprint sensor for the upcoming Galaxy S9. It remains to be seen which company will get its tech in a consumer product first. Sadly, Synaptics didn’t disclose which OEM it signed a contract with, but chances are pretty good we’ll see it in a 2018 smartphone. According to the company, the mystery product will be on display at the 2018 Consumer Electronics Show in Las Vegas.